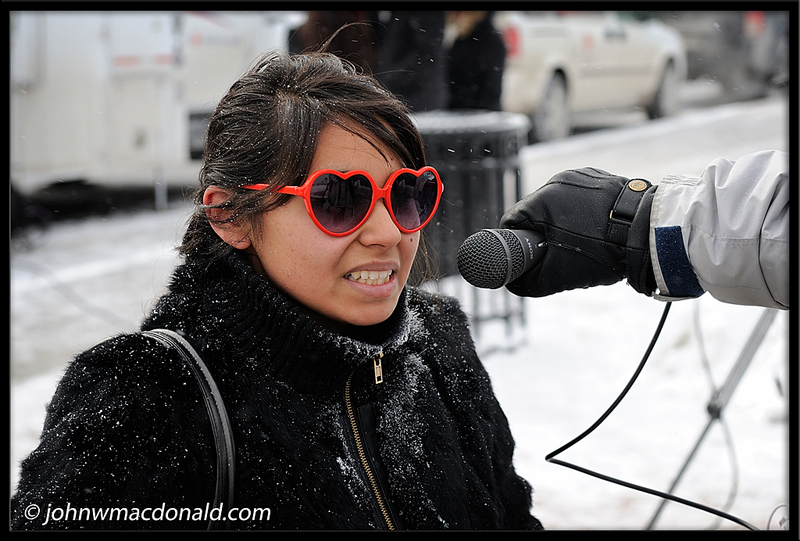 A reporter questions a young lady about her take on the OC Transpo strike. But I bet what he really wanted to know was the story behind those glasses. "Reporters" aren't actually that interested in stuff like that, in my experience. sure they are. reporters who do stories on glasses for instance. Pfft! I'm not a reporter. Although I did play one on TV. Good grief. Now we'll never know!